Two shrinkwrapped decks of poker-size playing cards in a sturdy reusable box. Deck includes 52 playing cards and 2 jokers. Box size: 5½ x 3 ⅞ x 1 in. 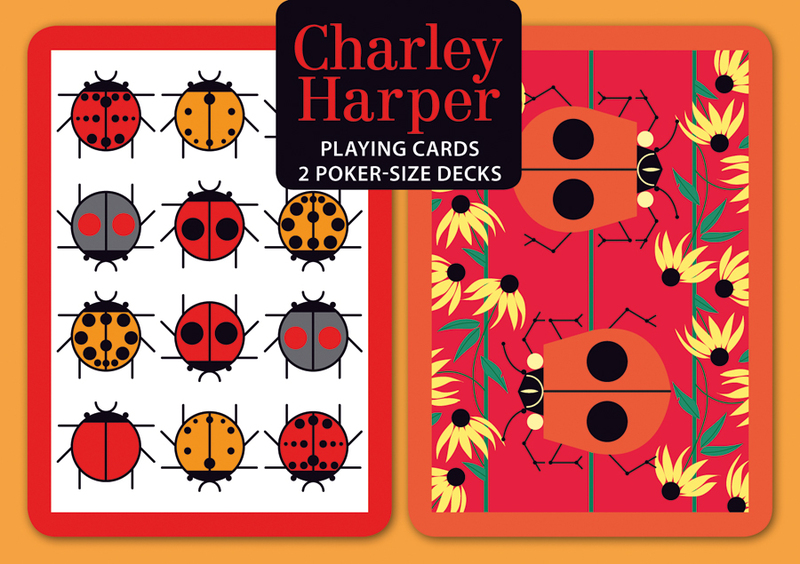 These card patterns are adapted from The Bug That Bugs Nobody and Ladybug Sampler by Charley Harper (American, 1922–2007), who created delightfully clever illustrations of the natural world. 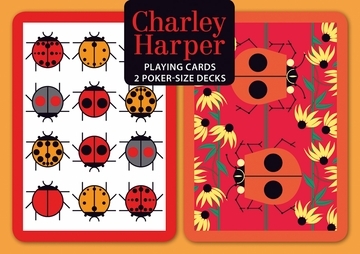 Pomegranate playing cards are thoughtfully crafted and elegantly illustrated with card back designs adapted from some of our best-selling artists. Card faces are original Pomegranate designs.